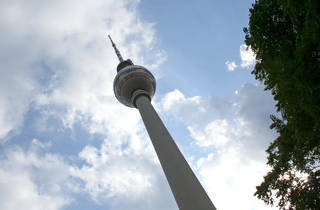 The rebuilding of the east in the 1960s happened along totalitarian lines – and rising up out of Alexanderplatz, the 368 metre-high Fernsehturm (‘Television Tower’) marked the centre of a new capital. 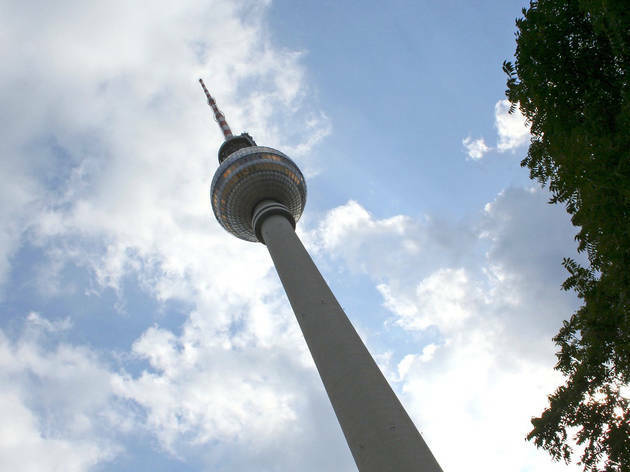 As the fourth highest freestanding structure in Europe, on a clear day you can see as far as 42 kilometres from its top, while from the ground the ball-on-spike makes an excellent, if bizarre, compass point. It started life as a symbol of Communist ideals, looming high above the wall into the West – an icon straight out of the pages of science fiction novel. But political statement was marred by iffy engineering: only after construction was completed did it transpire that the sun was reflected in a cross-shape across the stainless-steel dome, earning it the nickname ‘the Pope’s revenge’. For a truly high-end experience, dine in the rotating restaurant at the top of the ball, which turns a complete revolution every half an hour. Handily, visitBerlin now has a Berlin Tourist Info Point at the tower. Open 9am-midnight daily (Mar-Oct); 10am-midnight daily (Nov-Feb).